Anyone who works in beauty will tell you that it’s a fun, inspiring place, full of creative ideas (and the occasional free sample! 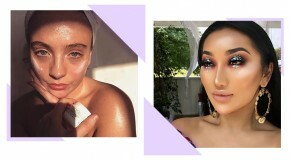 ), but exactly how do you break into the beauty industry? In this series, we’ll be chatting with beauty industry insiders to find out what their jobs involve and the paths they took to get where they are now. 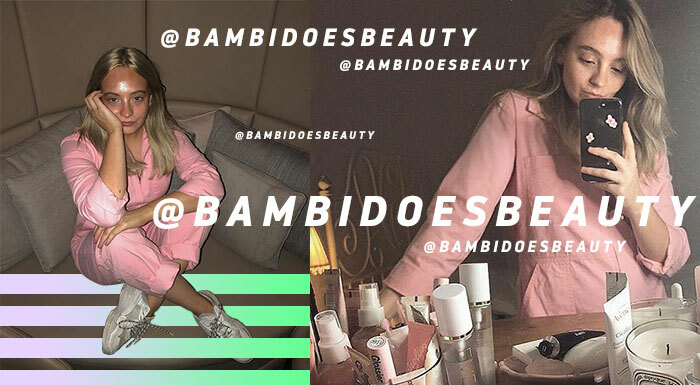 Meet Elle, social media star and skincare obsessive, better known as BambiDoesBeauty. I only started to think about what I wanted to be when I was in sixth form! Pretty late on! I wanted to write for a fashion magazine, now I write for Glamour UK which is crazy! I feel it’s really personal. 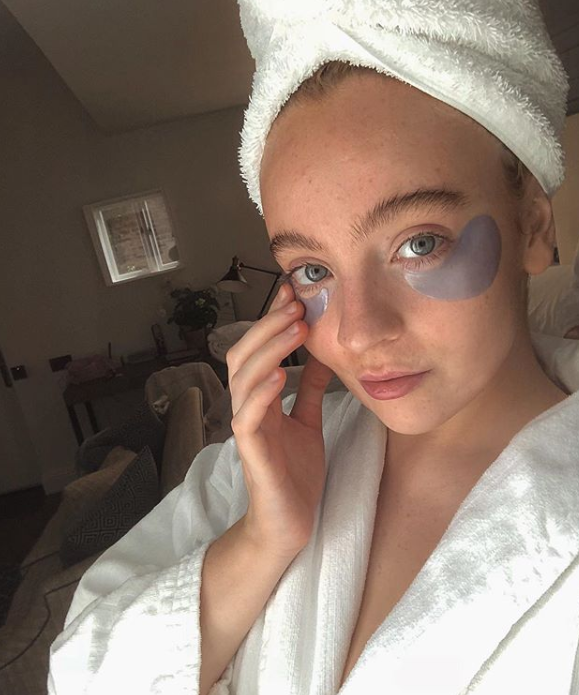 I was far more interested in fashion when I was younger, but as I grew into my twenties the more I gravitated towards skincare and ethereal beauty. I started Bambi as a hobby so I wasn’t necessarily thinking there was a job for me in the industry, thank god for Instagram! What did you study and how did this guide your current role/how do you use the skills from your degree in your job? I studied Fashion Promotion and Communication at Nottingham Trent University. It was the perfect choice for me at the time, I almost chose to study English but soon decided I needed a break from academia! There’s actually a big connection between my degree and my job, but not in the conventional sense! For my dissertation piece I created a print magazine titled ‘Bambi’ a fashion/lifestyle/beauty magazine aimed at the teenage market. 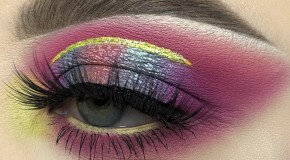 It took me 5 years after I graduated to evolve the idea into a digital blog, now Instagram – Bambi Does Beauty. The only thing I was certain of after I graduated was that I wanted to live in London, so I moved down with my cousin Emma. I had no job, I just applied when I got there, I spent one day at The White Company as a retail assistant then got offered a receptionist position at a fashion recruitment agency, then onto PA for advertising agencies. I got fired constantly (for various reasons but I think it just comes down to the fact I’m not like everyone else, and I don’t mean that I’m special, just that I’m not great socially or in an office environment). What skills and experience do you need to succeed on Instagram? Hmmmm. You need time, I was lucky enough to live at home so I didn’t have to worry about rent. I could dedicate my time and energy to what would eventually become a business. Experience – none whatsoever! What does your day-to-day entail? This varies. I visit London once a week for a day or two. These days usually start early and end late. I’ll have meeting with brands (often back to back as I like to make use of the time when I’m there!) then perhaps I’ll have a treatment/facial somewhere, drop by my agency, and the day will usually end with a dinner event for a brand (there’s always something going on!). When I’m home, I get up late (although I’m trying to change this!) and either create content or spend a few hours in my local coffee shop catching up on emails or writing my Glamour articles. I don’t ‘go out’ or anything like that! I’m a hermit. Being able to work from home and on my terms/hours. Connecting with people around the world and my photography/approach to beauty being loved with such kindness from total strangers. The money is also great. Miranda Kerr following me on Instagram. I was napping and my mum came in like “guess who’s just followed you on Instagram? !” I’ve looked up to her for years, she’s my beauty idol. 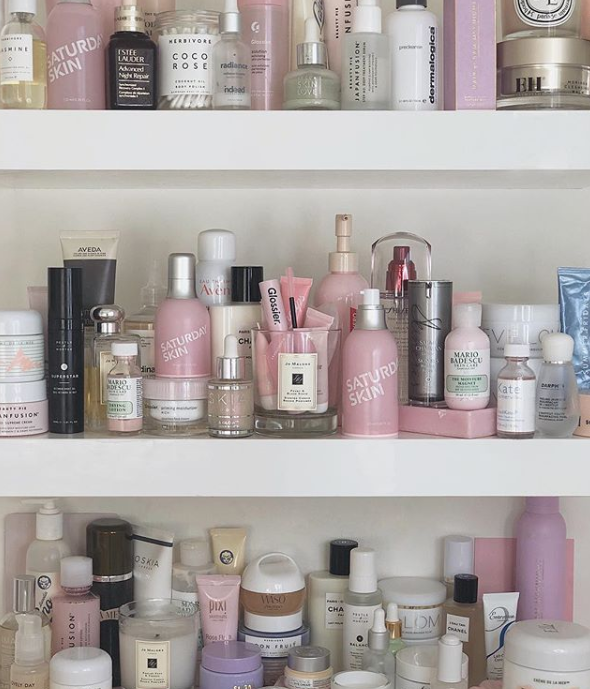 What advice would you give to someone wanting to become a beauty Instagrammer? Start with no intention of making money, start as a hobby and test the water. Show your personality and your passion, engage with others and find your niche/USP! What are some common misconceptions people have about your job? I actually can’t think of any misconceptions, I don’t really know how people perceive it. It’s a brilliant career, I enjoy it so much. My Riki light up mirror from Glamcor, my skincare supplements, and my iPhone 8+ … portrait mode has been a game changer! What’s your top beauty advice? What are your favourite BEAUTY BAY products? 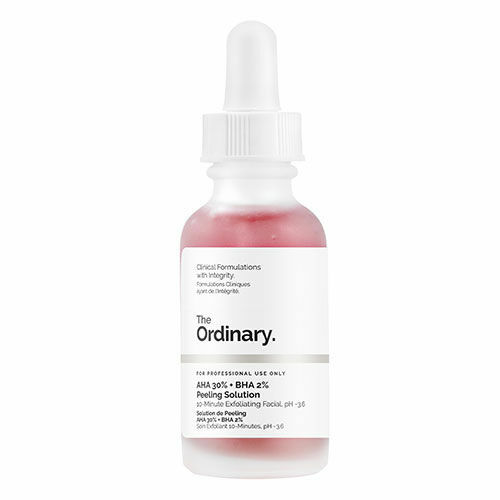 The Ordinary AHA + BHA Peeling Solution, this is really a magic formula, and such a brilliant price! I recommend it to so many of my followers. 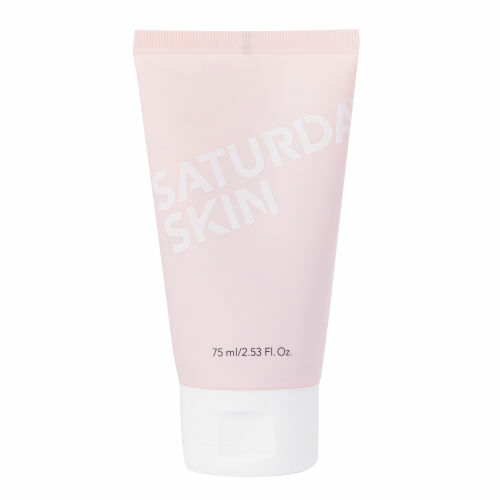 Leave on for 10mins and let it exfoliate away dead skin cells…leaving your skin brighter and more even toned! 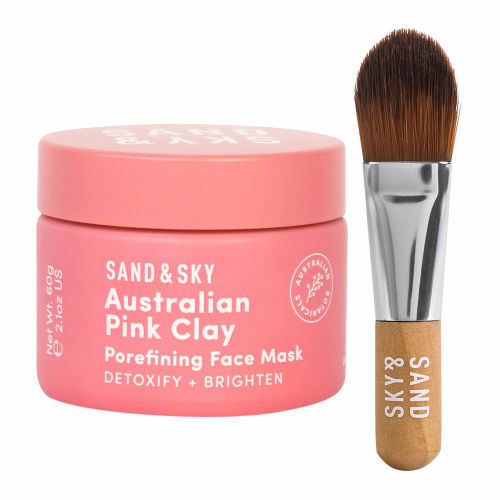 Not forgetting the Sand & Sky Brilliant Skin Purifying Pink Clay Mask, there’s a reason why this mask went viral, it’s packs a punch! I was so impressed with this product I had to feature in my monthly favourites, an true skin detoxing hero.